Uncompromising shine and protection in one exceptional package. The Wolfgang Füzion Estate Wax Connoisseur's Kit includes our finest carnauba-polymer wax with a complete set of products to prep your vehicle for a breathtaking shine. Any connoisseur of exceptional car care products deserves the Wolfgang Füzion Estate Wax Connoisseur's Kit. Wolfgang Füzion Estate Wax Connoisseur's Kit includes a complete clean-polish-protect routine. Start with Wolfgang Auto Bathe to slather your vehicle in rich suds. Then polish and conceal minor imperfections to improve the paint luster with Wolfgang Paintwork Polish Enhancer. Next apply Wolfgang Füzion Estate Wax for the ultimate gloss and protection. In between details, use Wolfgang Deep Gloss Spritz Sealant to boost the existing wax and reignite its shine any time, anywhere. Wolfgang Füzion Estate Wax is a hand-crafted blend of carnauba wax, German Super Polymers, and proprietary ingredients that yield unequaled shine and protection. Our unique formula fuses the best attributes of carnauba wax and paint sealants to create the ultimate car wax. The super polymers reinforce carnauba's natural defense and promote maximum bonding to the paint and maximum protection. Wolfgang Füzion's anti-static properties maintain a slick, glossy, reflective finish. Füzion repels water, dirt, dust, oil, and resists smudges and fingerprints. Regular washes with Wolfgang Auto Bathe will allow dirt to slide off the paint. Incredible sheeting action cuts your drying time in half and leaves the paint spotless. For the best results use Wolfgang Paintwork Polish Enhancer before applying Wolfgang Füzion Estate Wax. Every container of Wolfgang Fuzion Estate Wax is boxed in Wolfgang's signature wooden case with a foam applicator, and a certificate of authenticity. Your purchase includes a free refill of wax. Send the empty jar to us with a copy of the certificate of authenticity. We will refill the jar and return it to you. Wolfgang Auto Bathe is a rich, high sudsing car shampoo that pampers even the most delicate paint finishes. This high lubricity car wash lathers your vehicle in paint-protecting foam as it loosens and lifts dirt and grime. Wolfgang Auto Bathe leaves your vehicle looking clean, shiny, and virtually water spot-free. Wolfgang's prewax cleanser removes old waxes and sealants, light oxidation, and paint contamination to reveal deep color and gloss. Once you apply a wax or paint sealant, it will enhance the smooth, clean paint created by Wolfgang Paintwork Polish Enhancer. Wolfgang Paintwork Polish Enhancer is a moisturizing cleansing lotion that uncovers the shimmering gloss of like-new paint by removing dull layers of old wax and surface impurities. Micro-fine fillers settle into light swirls and scratches to create a smooth, shiny surface in preparation for wax. Wolfgang Deep Gloss Spritz Sealant is a true polymer paint sealant spray that protects and shines in one quick step. Liquid crystalline polymers coat the paint in incredible gloss and protection – just like a conventional sealant. Yet, Wolfgang Deep Gloss Spritz Sealant takes just minutes to apply. Use it as a stand-alone paint protectant or as a maintenance spray for Wolfgang Füzion Estate Wax. 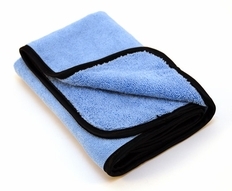 Use these microfiber detailing cloths for drying, buffing, or as a finishing wipe down. Microfiber is designed to be light, strong, super-absorbent and quick drying. The fibers are non-abrasive, and are woven so tightly that it's absolutely lint free and extremely durable. Unbelievably, these ultra-tough fibers are engineered to absorb seven times their weight in moisture. When using on windows, it produces a streak-free finish. Foam wax applicators are best used to apply Wolfgang Fuzion Estate Wax quickly and evenly. The soft, absorbent foam is gentle and nonabrasive on the paint. 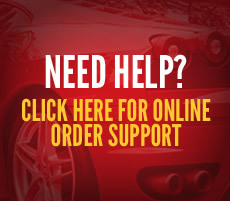 You will find detailed instructions for each Wolfgang product and tips for proper car care included in your kit. These were written by a car care professional to help you optimize the products in this kit and ensure the best possible outcome. The Wolfgang Füzion Estate Wax Connoisseur's Kit brings world class car care home. This kit adds another step onto the paint care process… Clean, polish, protect and admire. A total retail value of 286.95. Save $20.92!